PARALLAX+TVEIT make musical landscapes where the acoustic and electro-acoustic intersect. The project started in 2013 as an ad hoc performance at Tveit's multi-speaker-installation "Ierotelestía -A phantasmagorical vision of an acousmatic cult" at Kunstnernes Hus in Oslo. NOTAM, who originally commissioned Tveit's installation, wanted us to further develop the project and commissioned the piece "A Parallax View" for the 2015 ULTIMA Festival in Oslo. It is a 12-speaker setup with an 8-meter diameter. The audience is placed in the circle, and the performers are on the outside. The speaker setup and live processing combined with the acoustic sounds let the audience experience being immersed in sound, and bypasses the conventional point-location of sound sources. In the work A Parallax View, the improvisation trio Parallax and composer/sound artist Anders Tveit explore the area between composed and improvised music and the contrasts between acoustic and electronic sounds. In contrast to traditional multichannel electroacoustic works, where the position of the sound and sound objects in a room are pre-determined, Parallax and Tveit undertake a more improvised exploration of the listening room itself. The audience and the performers are positioned in a circle surrounded by loudspeakers, where the physical room, the loudspeakers, the acoustic instruments and the electronic sounds blend into one ‘instrument’. In addition to performances, Parallax+Tveit give masterclasses on their approaches to music- making and improvisation, and how they apply to this project in particular. Parallax has a wide open approach to improvisation, and draw on a broad range of influences in their music – jazz, folk, electroacoustic, minimalism and noise. Through the use of extended techniques and found objects they seek to eliminate the traditional roles of different acoustic instruments, and explore the fringe areas of music. One of their methods is acoustic simulation of electronic sounds, and this focus on role reversal and «sound-as-music» is very important in developing their sonic identity, and an integral part of all their activities. • Their approach to interplay and their use of acoustic, electronic and sampled sound in improvising. • How to balance and manipulate the acoustic and electronic sounds in the room: Placement of sound sources and multichannel diffusion. • Perception/illusion: different techniques Tveit uses to process live input from Parallax, and how he presents it in ambisonic using both proprietary and non-proprietary software. • Extended techniques - preparations and possible applications. how to relate to them in a performance situation. 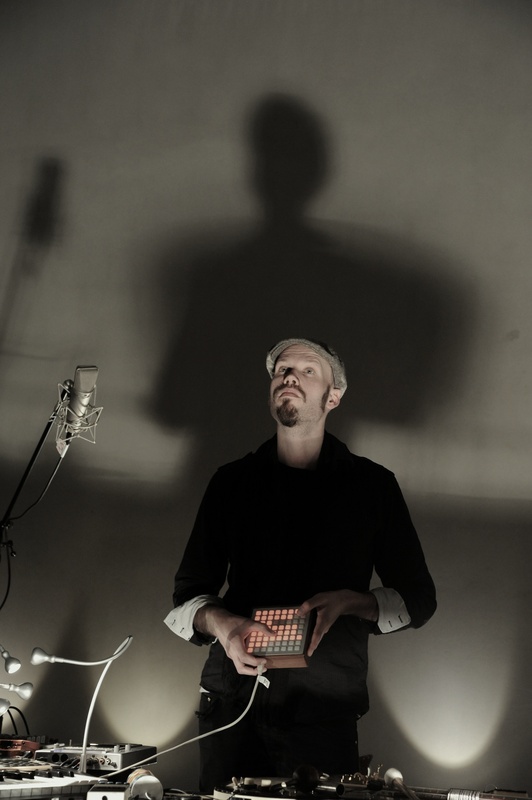 Anders Tveit (1977) is a composer and musician working with different projects in electroacoustic composition and improvisation, where the use of self-developed software for real-time processing and spatial audio has a central role in the personal musical expression. As a musician, he has worked with everything ranging from the international renowned Trondheim Jazz Orchestra, Audun Kleive, Shannon Mowday and Pd-Conception to more ad-hoc improvisation duos. In addition to being a performing musician featured on several CD releases, he has composed electro-acoustic music and sound installations that have been featured and performed at Ultima Contemporary Music Festival, GRM Paris, NOTAM, ZKM Karlsruhe, KlangFest, Liecthenstein, Riksscenen Oslo, Henie Onstad Art Center, Eivind Groven Organ House (Just Intonation organ), Oslo Concert House and more.